The human body is an efficient conductor of electricity. When a casualty receives an electric shock from a household appliance or a power line, the electricity is conducted through the body. A casualty may receive significant burns or the electric shock may interfere with the heart’s electrical system. Burns to the casualty may be greater than they appear on the surface. When attending a casualty exposed to electricity, checking for danger is the priority. Be alert for hazards to yourself and to other rescuers, and approach the scene with extreme caution. removing the casualty from the electrical source by pushing or pulling them with non conducting materials, eg, wooden stick or board, rope, or blanket. Be careful not to touch the casualty’s skin before the electrical source is disconnected, and be alert for the presence of water or conducting materials which may be in contact. 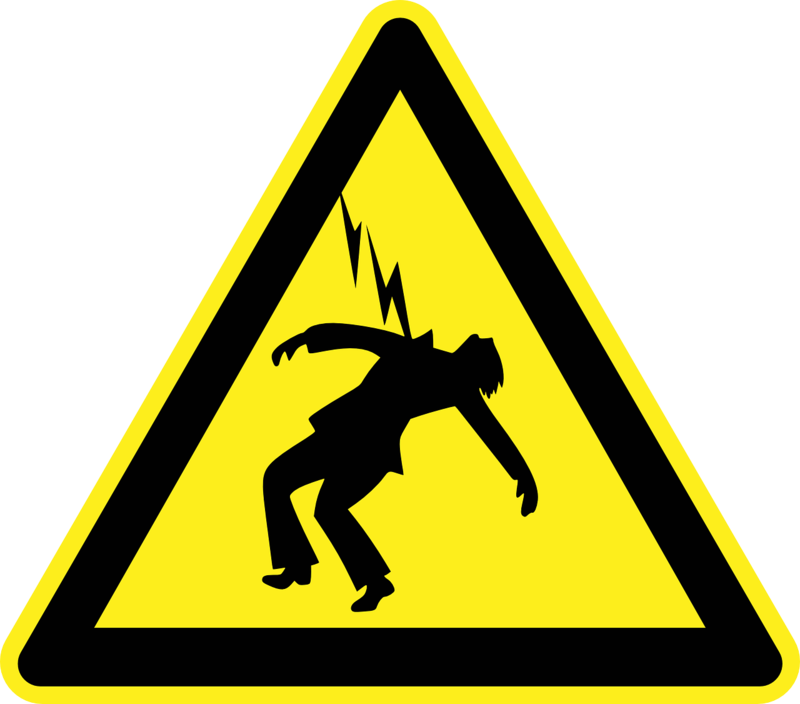 High voltage electrocution involves an extreme degree of danger to rescuers due to the capacity of the electricity to earth itself by arcing across an air gap to an object or person. This risk increases with humidity and high voltage cables have danger zones around them of up to 20 metres depending on the voltage they carry and the level of humidity in the atmosphere. If the electrical source is part of the electrical distribution grid (poles, pylons, underground cables, transformers or stations) you must not enter the area until electrical authorities have certified it safe. You can do nothing for a casualty within the zone of danger! Protect yourself and others. Tyres insulate people inside a car with fallen power lines across it, so tell them to stay inside the car and not to jump out. Ensure that all bystanders do not approach the scene and remain at least six metres away from the nearest suspected energised material.